One of my favourite fellow Bay Area Sewists, the lovely Rebecca, challenged me to a microbe-making summer quest, inspired by this post. 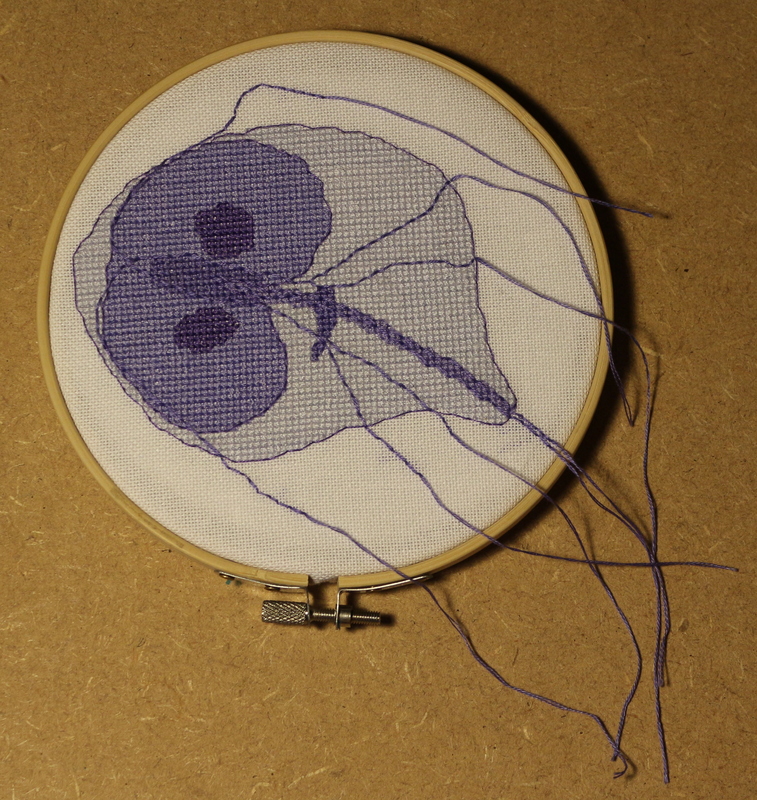 You can buy those patterns from Etsy, but I wanted to explore making some more in the same vein as my beautiful E. coli. 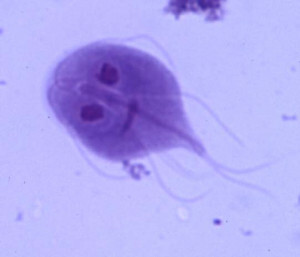 ….but I wanted to do the trophozoite form, and give it some free moving flagella. To begin, I sketched out the picture on graph paper, (If you don’t have any graph paper, you can print some for free here), then started to make it into a cross stitch pattern by ‘pixelating’ the picture, using whole squares and diagonal half-squares to form the shape. Colourwise, I picked 5 shades of a lilac colour, so that I could mimic the original stained image, DMC 3747, 340, 155, 3746, and 333. 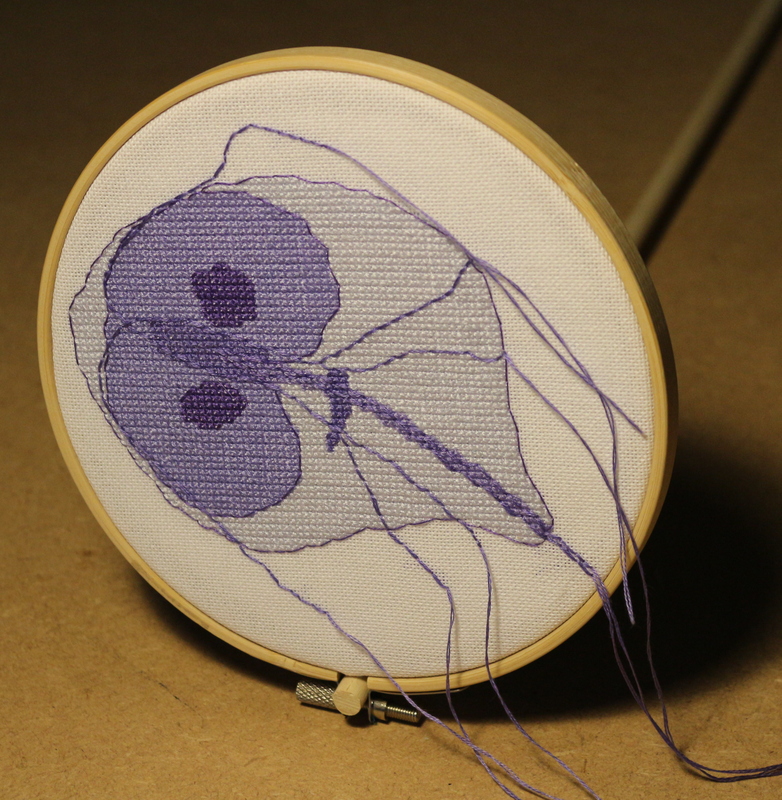 The main image is just simple cross stitch, with the flagella stitched in holbein stitch (just a variation on backstitch). Note: if you change your mind, you can always undo the closure and move it to the top… I think. Once the fabric is pulled taut and closed off with felt it should be pretty stable and allow you to move the hoop. Time to deliver on the challenge! This is incredible!!! My microbiology teacher seriously would like to buy one and one of the E. coli too…do you sell these?? Or in fact, it actually isn’t at the moment for this one. Whoops. 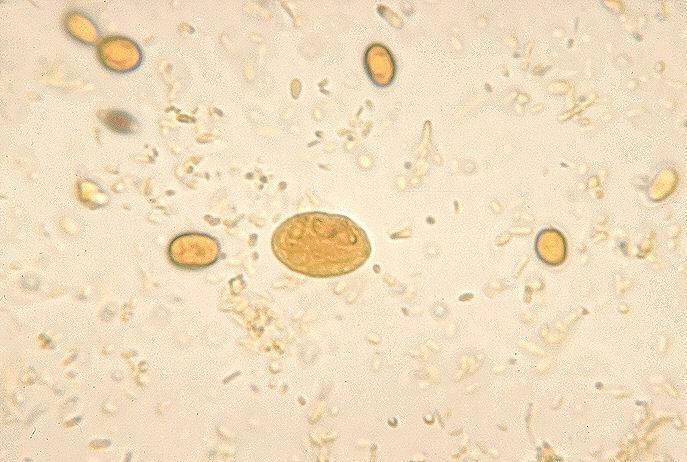 Sorry about that, I will try and get around to finding it and scanning it, but the E. coli is definitely there!